It’s been years since we photographed a wedding at the Purple Iris in Martinsburg, WV. But, we could never forget how awesome this wedding venue truly is. The food is amazing, the owners are even more amazing, and the entire property has an upscale and elegant feel. Anyone that has lived in this area for an extended period of time has probably been to a wedding at the Purple Iris, but now they are catering to out-of-town brides and grooms who want a beautiful property out in the country where their guests can get away from the bustle of their busy lives. Ian and Rebecca put so much of themselves into every detail of this wedding. I loved the florals from Blossom & Basket Boutique in Mt. Airy, MD, the charming porcelain birds placed throughout their decor and the vintage key place cards. Even though it rained, which forced the ceremony to be held indoors, the wedding was absolutely beautiful and it was obvious that all of the guests thoroughly enjoyed themselves. Every bride and groom that plan a wedding outside worries for at least a moment about having a back-up plan in case of inclement weather. That’s why the Purple Iris is a fantastic spot to hold an outdoor wedding. They have a gorgeous sunroom that can quickly be converted into a ceremony area with large windows on three sides, so you still get a feel for the outdoors while being protected from the elements. 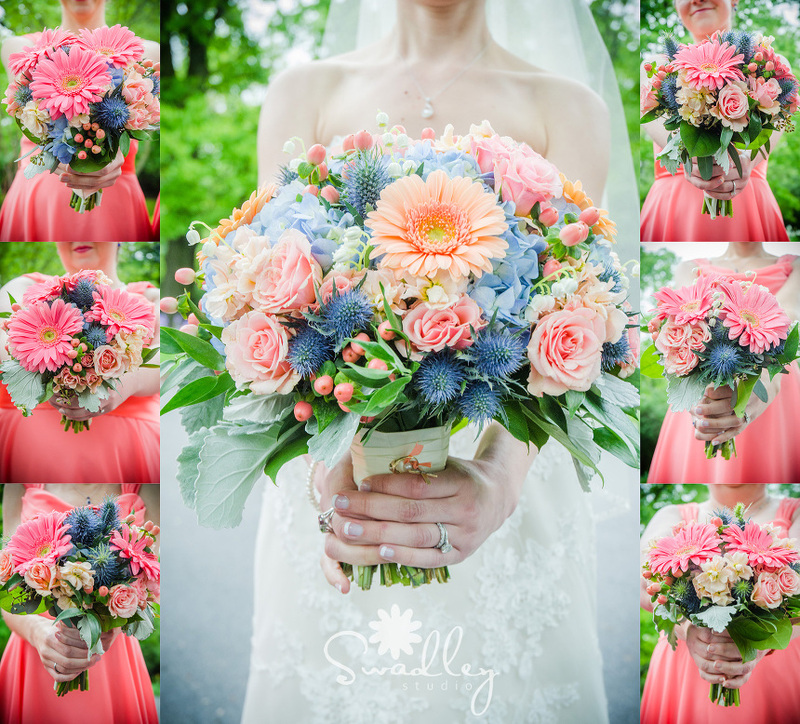 Enjoy the images from this beautiful wedding right here in Martinsburg, West Virginia! 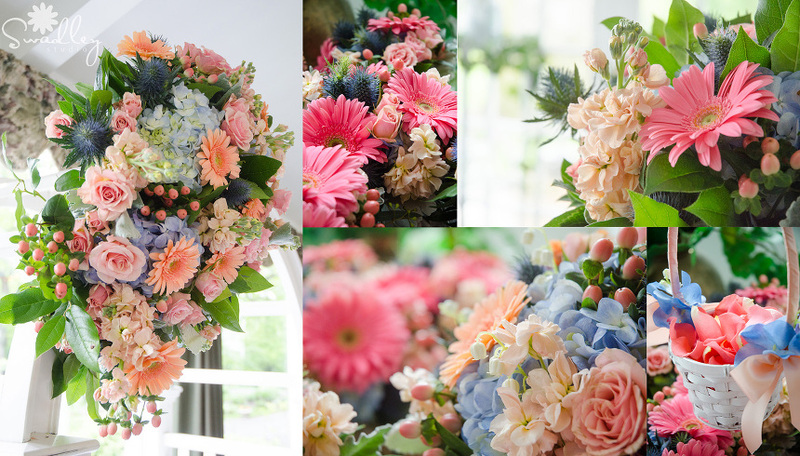 Rebecca chose a unique color palette and Blossom & Basket Boutique pulled it off well with these gorgeous floral arrangements. They brought their adorable little dogs along for the wedding weekend, and I loved how they were watching their daddy get dressed for the big day! Even on a rainy day, the Purple Iris provides a gorgeous setting for bride and groom portraits. Nice!!!! The Groom’s mother approves. You have done an outstanding job. Thank you!